Dr. Nick Hall, a medical scientist who since 1979 has conducted groundbreaking studies linking the mind and body, will present a lecture at 7:00 pm on Monday, January 30, at the Bush Auditorium on the campus of Rollins College (1000 Holt Avenue, Winter Park, FL 32789). The lecture will demonstrate how to recognize each person’s unique coping style and discover ways to reframe stress from negative to positive. Dr. Hall’s research has been featured on the CBS program 60 Minutes, the BBC’s Nova series, and the Emmy Award-winning program Healing the Mind. The lecture is part of the Forum series at Rollins College’s Center for Health Innovation. Click here for more information. 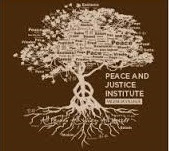 Valencia College’s Peace and Justice Institute is hosting its annual Conversation on Justice from Monday, January 30, through Thursday, February 2. The series involves a wide array of opportunities to participate in discussions, engage in workshops, view films and listen to presentations that address many of today’s hot-button issues—violence, immigration, economic inequality, food insecurity, race, sexual orientation. Through transformative stories, facilitated discussions, award-winning films, art projects and activities that foster critical conversations, the goal is to promote a culture of peace, create understanding and mend the fabric of society. Each of the Valencia College campuses has its own campus-based schedule of events. Some activities will be available on all campuses. Click here for more information and to survey the full schedule of events. The events are free, and the public as well as Valencia students are invited. “The Summit on Religious Freedom: An Interfaith Invitation” will be held Tuesday, January 31, from 7:00 to 9:00 pm, at Faith Hall, First Baptist Orlando (3000 South John Young Parkway, Orlando, FL 32805). Speakers for the evening include: Hannah Smith, Senior Counsel at The Becket Fund ; Rabbi Mark Goldfeder, Director, Law and Religious Programs, Emory University; Professor W. Cole Durham, Jr., Director, International Center for Law and Religion Studies, Brigham Young University; Iman Abdulla Antepli, Chief Representative of Muslim Affairs, Duke University; and Mike Batts, Managing Partner, Batts Morrison Wales & Lee, PA. Issues to be addressed include: potential impact of upcoming Supreme Court decisions on religious freedom; challenges posed by pending legislation to both freedom of speech and religion; impact on religious organizations of tax-law changes; barriers potentially faced when religions run their organizations based on their values. The event is free, but space is limited. Please reserve you seat at Eventbrite. In January, Sikhs around the world celebrated the 350th anniversary of the birth of Guru Gobind Singh, the last of the ten Spiritual Masters (Gurus) of the Sikh religion. He was born on December 22,1666, in the city of Patna, in the Indian state of Bihar. (During the recent celebrations, the state government of Bihar participated with such enthusiasm that it definitely earned the admiration of Sikhs around the world. The Chief Minister of Bihar created a tent city for 75,000 visitors, a temporary prayer hall for about 30,000 devotees and a langar (food service) hall in which about 8,000 people could be served at one time.) 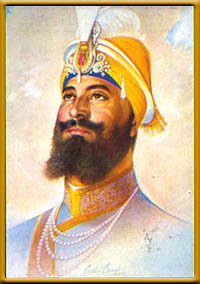 Guru Gobind Singh died in 1708. In his autobiography, Bachittar Natak, the Guru described how in his previous life as a holy man engaged in divine worship high in the Himalayas he was summoned into the presence of Lord God Himself, was designated His son, and was commanded to go to earth to save true dharma. That was why he was born into the family of the ninth Sikh Guru, Guru Tegbahadur. Through his writings, Guru Gobind Singh preached love, equality and a strictly ethical and moral code of conduct. He preached the worship of the One Supreme Being, decrying idolatry and superstitious beliefs and observances. An article posted on the Religion News Service website shares an array of responses from the religious community and its leaders concerning what President Trump has said—or, at times, just implied—concerning how he intends to address refugees and other issues of immigration. Almost as interesting as the official statements is noting what different entities are saying and which of the new president’s policies they support and which they condemn. The reader-response comments are worth reading as well. 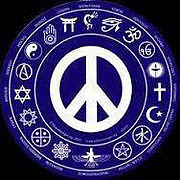 One thing is clear: America’s religions and religious people don’t all view things the same way! As part of its many annual activities, Week of the Family selects a couple as GRANDparents of the Year. 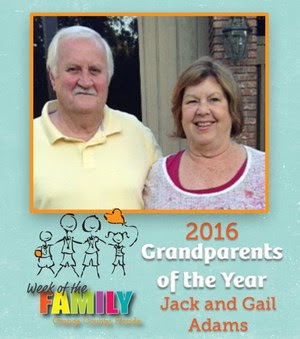 The 2016 winners were Jack and Gail Adams, who were featured in the magazine GRAND, which is a resource for grandparents. (Click on the preceding link and you can sign up to get the magazine free for one year.) During Week of the Family (November 4-11 in 2017), an array of faith-based, civic, business, educational and just about every other kind of organization in Central Florida come together to inspire families to be the best family they’re capable of being. And not just for that week. The week is just a boost to help them get onto a better path. “The Week of the Family’s mission is to strengthen family relationships through education, wholesome activities, fitness and community service.” There’s a lot more going on that week than there is space here to describe it. Go to the WOTF website to see both what has been done in the past and what’s just starting to be planned for 2017. Learn how you can become involved. 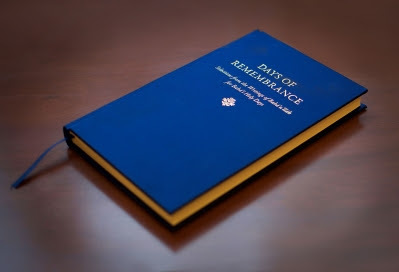 From the Baha’i World News Service: A new volume of Baha’i sacred texts—Days of Remembrance: Selections from the Writings of Baha’u'llah for Baha’i Holy Days—was released on January 18, making available to the world a selection of newly translated writings of Baha’u’llah, the founder of the Baha’i faith. Days of Remembrance offers 45 selections revealed specifically for, or relating to, the nine holy days annually commemorated by the Baha’i community. The book was published in anticipation of the celebration of the 200-year anniversaries of the birth of Baha’u'llah and the birth of the Bab (the forerunner of Baha’u’llah), who were born in 1817 and 1819, respectively. The observance of holy days is an important feature of every religion, and the upcoming bicentenary commemorations, the first of which will occur in October 2017, will bring together communities through gatherings that are open to all, in villages, towns and cities around the world. The following events and programs are being organized and/or advertised by Interfaith Lake County: (1) The Faith Club, a readers theater, will be presented on Monday, February 6, at 6:30 pm, at Temple Shalom (13563 County Road 101, Oxford FL 34484). This interfaith performance is based on the book The Faith Club about three women who start out to help their children understand different religions, and on their journey confront their own prejudices and misunderstandings. Readers are represented by members of the Christian, Jewish and Islamic faiths. A discussion will follow the presentation. The public is invited to this free event. (2) The Plantation Democrats Club (North Gate at Traffic Light, 25021 Highway 27, Leesburg, FL 34748) is the venue for the presentation “Middle Eastern History and Islamic Culture” by Dr. Mark Welton, on Friday, February 17, at 4:30 pm. The event is free and the public is invited. Dr. Welton is a professor emeritus at the U.S. Military Academy at West Point, where he taught international and comparative law. He also served as a judge advocate in the U.S. Army. He holds degrees from Stanford University, Boston University, Georgetown University Law School and the University of Virginia Law School. (3) The Interfaith Educational Forum invites the public to “The Golden Rule in Each Faith’s Practice,” on Thursday, February 23, at 7:00 pm at Congregation Beth Sholom (315 North 13th Street, Leesburg, FL) The event is free. (4) The Interfaith Educational Forum invites the public to “Saving the Planet Through the Practices of Each Faith Tradition,” on Thursday, March 16, at 7:00 pm at Unity Spiritual Center (509 County Road 468, Fruitland Park, FL 34731). The event is free. and Imam Muhammad Musri as each week they discuss how faith impacts both the simple and the complex aspects of life. These three clergy come together as friends to discuss topics from the perspective of the different religions they represent. They contend that “good religion works for peace, respects and values others regardless of their religious perspective, and works through acts of compassion to make the world a better place for everyone.” Friends Talking Faith with The Three Wise Guys airs on Tuesdays at 6:30 pm on 90.7 WMFE FM in Orlando. Tune in on your radio or listen online. You can also listen to any show already aired. In February’s shows, the Three Wise Guys look at the politics of resentment, have a discussion with a faith leader who heads one of the largest groups within Hinduism, talk with Mr. Robert Ray about a new effort to combat human trafficking and how the faith community can get involved, and have a conversation with leaders of the new Interfaith Yoga Project that is taking Central Florida by storm. Tune in each Tuesday during February at 6:30 pm. 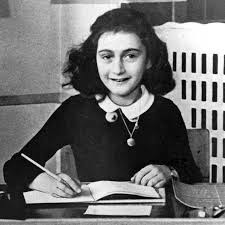 The Holocaust Center (851 North Maitland Avenue, Maitland FL 32751) is currently featuring an exhibit about Anne Frank. The exhibit explores the story of Anne Frank and her family, juxtaposed against world events before, during and after the Nazi party’s rise to power. Visitors are introduced to the events leading up to World War II, to individuals who chose to join the Nazi party, to those who were bystanders and to others who resisted. Included are photos of the Frank family and other occupants of the Secret Annex. Anne’s writing provides a central voice to the exhibit narrative, bringing a poignant perspective to the story. The exhibit is accessible to visitors of all ages and is available in English and Spanish. It will be on display through March 17. How does your faith tradition view science? Do your faith tradition and science play complementary roles? Are they in competition? If there’s a differing perspective, must one side automatically yield to the other? How are contradictory explanations addressed? These questions and more will be addressed at the monthly Interfaith Discussion on Wednesday evening, February 8, sponsored by the Interfaith Council of Central Florida. The discussion is held from 7:00 to 8:30 pm on the second Wednesday of each month at Adventist University of Health Sciences (671 Winyah Drive, Orlando, FL 32803) on Florida Hospital’s main campus. The exchanges are respectful, open and candid, and the participants represent a variety of faith traditions as well as those who question the validity of faith altogether. For directions to the meeting place, click here. Admission is free. Everyone is invited. A new, loose-knit, still-in-the-formation-stage organization called the Interfaith Yoga Project is simultaneously pursuing the physical, mental and emotional benefits of yoga while seeking the social and spiritual benefits that come from practicing it in interfaith settings. On January 16, the yoga class/interfaith event was conducted at First Unitarian Church (1901 East Robinson Street, Orlando, FL 32803). On Saturday, February 11, at 10:00 am, the Shabbat Yoga will be at the Congregation of Reform Judaism (928 Malone Drive, Orlando, FL 32810). Click here for more information and to register. And on Sunday, March 12, at noon, the yoga class will be at First Congregational Church of Winter Park (225 South Interlachen Avenue, Winter Park, FL 32789). Click here to sign up for the newsletter so you’ll know all the venues where you can participate in the Interfaith Yoga Project. 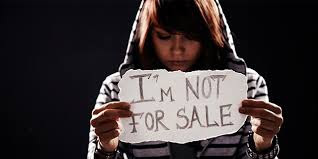 1-2-1 Hope at Northland Church (522 Dog Track Road, Longwood, FL) will host a free screening of the anti-trafficking documentary Chosen on Saturday, February 11, from 6:30 to 8:30 pm in the church’s main sanctuary. The public is invited. Click here to register and get more information. Chosen follows the stories of two young girls who were chosen by traffickers for a life of prostitution—right here in the United States. Their stories heighten our awareness of the problem, direct our actions in combatting this local issue and bring hope to our communities as we protect our children from predators. A short breakout session will follow the film’s screening. Parents are strongly encouraged to attend with their children. For more information, please visit 1-2-1 Hope’s website or Facebook page. Click here to view a trailer. 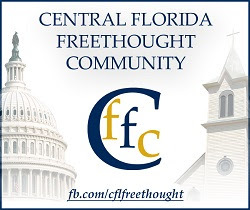 As their first major event for 2017, the Central Florida Freethought Community will celebrate Darwin Day on Sunday, February 12, from 1:00 to 4:00 pm at the University Club of Winter Park (841 North Park Avenue, Winter Park, FL 32789). Featured guests include Aron Ra, evolution debater and science educator; Dr. Daniel Batcheldor, astrophysicist from the Florida Institute of Technology and author of Astronomy Saves the World; Brandon Haught, biology teacher, Founding Board Member of Florida Citizens for Science and author of Going Ape; and Valerie First, evolution educator and “Street Teacher,” who will bring her fossil collection. Click here for more information. The public is invited to a free one-hour, once-a-month series of presentations on different faith traditions, which is being held at 3:00 pm on the second Monday of each month at the Lake of the Woods Clubhouse (300 Carolwood Point, Fern Park, Casselberry). Titled: “Parallel Beliefs—A Comparative Study,” the series is sponsored by the Interfaith Council of Central of Central Florida and coordinated by several residents of the Lake of the Woods subdivision. At each session the speaker presents for half an hour, followed by half an hour of questions from the audience. The dates for the “spring semester” will be February 13, March 13, April 10 and May 8. On February 13 Dr. Sheri Dressler will speak about the Baha’i faith. And March 13 Mr. Navtej Khalsa will speak about Sikhism. For more information, phone 321-228-4599. Click here for directions. 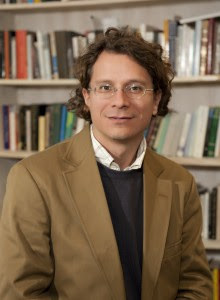 Dr. Jonathan Edelmann, Assistant Professor of Religion at the University of Florida, will deliver a lecture at Hindu University of America (5200 Vineland Road, Suite 120, Orlando, FL 32811) from 4:00 to 6:00 pm on Saturday, February 18. The lecture is titled “Hinduism and Science: Re-examining Bhāgavata Purāṇa Concepts in Light of Contemporary Thought.” The public is invited to this free event, which will be held in HUA’s Oxford Room. For more information, send an email or phone 407-275-0013. A program titled “Spiritual Spaces: Peace and Serenity” will be performed on Sunday, February 19, at 6:00 pm at Knowles Memorial Chapel on the campus of Rollins College (1000 Holt Avenue, Winter Park, FL 32789). The selections being performed are: Paul McCartney, A Leaf; Claude Debussy, Clair de lune; Gabriel Fauré, Pavane, Op. 50; J.S. Bach, Sheep May Safely Graze. Here’s how the program’s organizers describe what the experience will be like: “Let the power of music wash over, around and through you in the stunning Knowles Memorial Chapel. The Bach Festival Orchestra, with members of the Choir, will perform beautiful and timeless music that encourages calmness and reflection, as we strive to elevate mind, body and spirit. Experience the peace and serenity that only music can deliver.” Click here to order tickets. Learn about other performances in February by clicking here. One commonality of all faith traditions is that the adherents grow old. And when they do, they may need help navigating the complexities of healthcare. (And help isn’t needed just for the elderly.) To make it easier, AARP and other entities are collaborating to provide four hours of training. The event will be held on Saturday, February 25, from 8:30 am to 12:30 pm at the Orlando Science Center (777 East Princeton Street, Orlando, FL 32803). Experts will address: patient rights and resources, how spirituality affects healthcare, information and ideas about how to be a patient helper, tips on how to be a better helper/advocate and how to prepare the legal documents that make it much easier to deal with the healthcare system. If you or a loved one have to visit a doctor or hospital, may be just what you need. The even is free and the public is invited. Refreshments will be provided. For more information contact Nancy Rudner by email or by phone (321-282-7362). Here are two options to learn more about Islam: (1) The Islamic Center of Orlando is sponsoring an open house at 6:30 pm every Wednesday night to answer the public’s questions about the Islamic faith. And it’s being done in a relaxed and casual setting “over a cup of coffee.” They’re even providing the coffee! The question-and-answer events will be held in the dining room of the Muslim Academy of Orlando (MAGO), situated at 11551 Ruby Lake Road, Orlando, FL 32836 (just off Apopka-Vineland Road, near Lake Buena Vista). For more detail or to make a reservation, phone 407-495-6139. (2) On the fourth Saturday of every month, the Islamic Society of Central Florida hosts an “Open House Invitational” at which you can learn about Islam and the Muslim community—again, from Muslims themselves. The event Includes a presentation, a question-and-answer time, an international dinner, a tour of the mosque, and more. The event is conducted at the Center for Peace at the headquarters of the Islamic Society of Central Florida (1021 North Goldenrod Road, Orlando, Florida 32807). A tour of the mosque will be conducted at 5:30 pm, followed by the rest of the program. Register at Eventbrite. New Hope for Kids Center for Grieving Children (544 Mayo Avenue, Maitland, FL 32751) is offering training to become a volunteer grief-support group facilitator. The center provides grief support for children and families who have experienced the death of a loved one. The program helps children, teens and young adults cope with their grief and loss through the sharing of stories and experiences, as well as art, music and recreation. A one-year commitment is requested for volunteers, and a pre-interview and tour of the facility is required. The next 25-hour training program will be offered on Saturday and Sunday, March 4 and 5. For more information, please visit the organization’s website, contact Gloria Capozzi by email or phone 407-331-3059 x15. You may download the volunteer application here. From the website of the Baptist Joint Committee for Religious Liberty: “A bill has been introduced in the U.S. Senate in apparent response to campaign statements from then-candidate Donald Trump indicating he would seek to deny Muslims entry to the United States, create a federal registry of Muslims, or otherwise add a religious test to our immigration procedures. The Protect American Families Act of 2017 (S.54), introduced by Senator Cory Booker (D-NJ), prohibits the federal government from creating, or Congress from funding, any law enforcement or national security program that would have the effect of requiring people to ‘register or check in on the basis of religion, race, age, gender, ethnicity, national origin, nationality, or citizenship.’” You can read the Protect American Families Act of 2017 here. Last year, a bill introduced in the House (The Freedom of Religion Act), and supported by several religious-liberty advocates including the Baptist Joint Committee, would have prohibited the government from discriminating on the basis of religion in determining who is allowed to enter the United States. That bill was referred to committee but no action was taken. On Wednesday, February 22, at 1:00 pm, Temple Beth El Israel (551 Southwest Bethany Drive, Port St. Lucie, FL 34986) will feature a lecture by Alex Shelby, PhD. as part of its adult education program. The presentation is titled “Conflicts in Syria and Potential Repercussions for the United States.” Dr. Shelby currently serves as Assistant Professor of History at Indian River State College. He holds an M.A. in American Diplomatic History from the University of New Orleans and a Ph.D. in Middle East History from Florida State University (FSU). He is fluent in Arabic, Ottoman Turkish, and has rudimentary knowledge of Hebrew, Farsi and German. He specializes in Middle East and Islamic Studies. Dr. Shelby has traveled extensively throughout the Unites States, Britain, and the Middle East, researching and focusing on the impact of American foreign policy on the Middle East. The event is free and the public is invited. The Better Man Event, a Christian nonprofit organization and annual event, has for 13 years been inviting men in Central Florida to a higher calling through high-energy events and powerful messages. 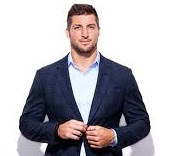 The theme for this year’s Better Man Event is “The Answer.” And the keynote speaker will be Tim Tebow. The event will be held at Calvary Assembly Church (1199 Clay Street, Winter Park, FL 32789) from 5:30 to 8:30 pm on Saturday, March 11. Click here for information about tickets. Discounted rates are available for groups. 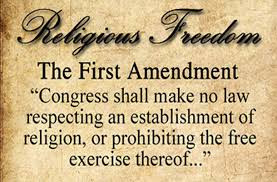 “The ‘establishment of religion’ clause of the First Amendment means at least this: neither a state nor the Federal Government can set up a church. Neither can pass laws which aid one religion, aid all religions, or prefer one religion over another. Neither can force nor influence a person to go to or to remain away from church against his will or force him to profess a belief or disbelief in any religion. No person can be punished for entertaining or professing religious beliefs or disbeliefs, for church attendance or non-attendance. No tax in any amount, large or small, can be levied to support any religious activities or institutions, whatever they may be called, or whatever form they may adopt to teach or practice religion. 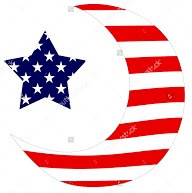 Neither a state nor the Federal Government can, openly or secretly, participate in the affairs of any religious organizations or groups, and vice versa. In the words of Jefferson, the clause against establishment of religion by law was intended to erect ‘a wall of separation between church and State.’”—U.S. Supreme Court Justice Hugo Black, writing the majority opinion in Everson v. Board of Education, 1947.